The evolution of a private island community. Just as the true Caribbean pine is a tree unique to the Turks & Caicos, Pine Cay is one of the country’s special treasures. Not only is it a rare stronghold of this endangered tree, but Pine Cay has a fascinating history and a promising future. Since 1960 it has been a focus for development, and fifty years later it stands apart as a bright and refreshing option for those wishing to indulge in true Caribbean relaxation! Aerial view of Pine Cay as you approach from the east. 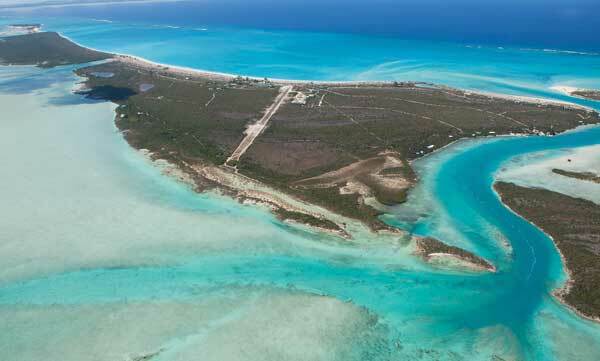 Pine Cay is a beautiful 800 acre private island tucked among the Caicos Cays, with a 2,800-foot airstrip, sheltered marina, and boutique hotel, that is home to an exclusive membership community. Amazingly, it was settled in the 1970s when the Turks & Caicos Islands were totally unknown, with no regular transport of any kind in and out of the country, or even between the various islands. 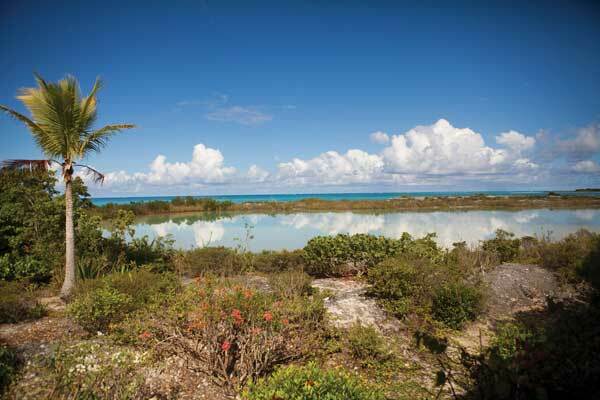 Some of the original owners on Pine Cay actually sailed in local sloops from South Caicos—the international airport and TCI port of entry at that time—to get to their property! Until the 1990s, the entire country was an obscure pinpoint on the global map, scarcely noticed even within the Caribbean. Only about 7,000 local residents populated the seven inhabited islands, with no tourist industry or other businesses in place. The 1970s were the heyday of aviation pioneers—private pilots and low-budget airlines exploring remote nooks and crannies throughout the Caribbean to find unspoiled paradise. Both pilots and passengers were eager to live in the sun and create a special home for themselves. 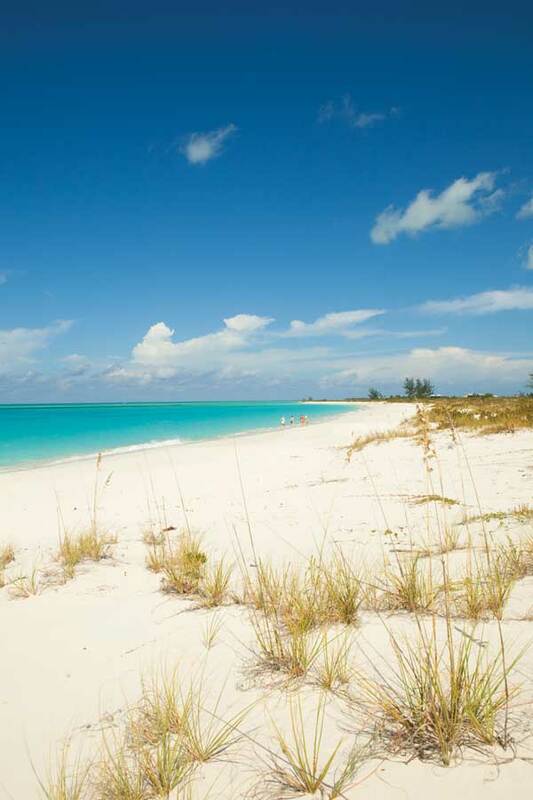 Pine Cay’s two-mile stretch of beach is among the Caribbean’s finest. Early pioneers on Pine Cay relished the isolation and tranquility of the island, along with the incredible fishing, despite the many inconveniences. The challenge of getting to the island was part of the fun and adventure. The development of Pine Cay underwent changes in concept, owners, and developers during the 1970s as the reality of creating a private island resort became more evident. These early concepts ranged from a high density resort island of over 400 lots, with commercial sections, fly-in capacity, and a major hotel compound to a very exclusive retreat island for a small private group of families championing privacy. The hardy folk who purchased property on Pine Cay in the early days of its development included business tycoons, European royalty, and various eccentrics who together worked hard over many years to combine the land, concepts, and investors into a feasible plan. The solution adopted was to set up a home owners’ association with a serious set of rules to protect and preserve the island. As a result, Pine Cay is the longest established private member community in the Caribbean and stands firmly on the original goals in a world of change. Some rules survive to this day. For instance, only indigenous plants are allowed and no private pools, to conserve the precious freshwater lens underground. Cars are not allowed — only electric golf carts—to reduce noise and pollution. Yet in acknowledgment of the modern world, the ban on telephones and TV has been lifted! Building in Turks & Caicos Islands, especially forty years ago, was a great challenge as the country had little infrastructure, all materials had to be shipped to Pine Cay, and workers, supervisors, and technical advisors had to be brought over as well. Despite this logistical nightmare, members slowly built their family homes and a secure private marina, completed a safe airstrip, and created a boutique hotel with gourmet restaurant. The Pine Cay Homeowners Association is a very active and hands-on member group, keeping the vision of Pine Cay moving forward successfully while retaining the magic that drew them all to the island. The Meridian Club’s pool/patio is steps from the beach. The Meridian Club has achieved well-deserved fame over the years, attracting stellar reviews for the “old style Caribbean” appeal of the hotel, the peace and privacy to be enjoyed, the attentive and friendly local staff, and the natural beauty surrounding it. The Meridian Club is a small and intimate resort with only thirteen rooms, directly on the glorious beach with private patios and superb dining. Villas are also for rent on the island. 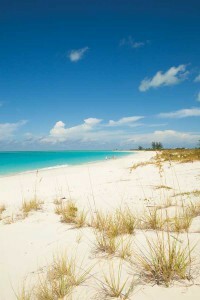 Visit www.meridanclub.com to find out more and book your Pine Cay experience. 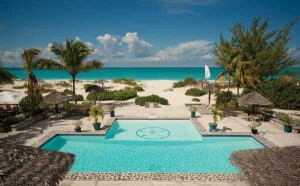 This unique capital asset is jointly owned by the Pine Cay members, and in essence The Meridian Club hotel has become the members’ country club for lunch, the pool, the bar, the office conveniences and for elegant evening dining. The beauty of the turquoise sea floods your eyes as you sit on the pool deck under a tiki palmtop shade, savouring a delectable meal—amazement indeed that this is available three hours from New York City! The accessibility of the Turks & Caicos Islands is a huge factor in the growing popularity of this destination, and yet Pine Cay remains calm and untouched, unhurried, a rare treasure. Admittedly, the image of Pine Cay over the years was of a spartan, rustic, even snobbish private island espousing a minimalist lifestyle and cherishing privacy with fervor. Today, a beautiful boutique resort and intriguing member families share their pristine island and welcome visitors. The fishing, snorkeling, kiteboarding, sailing, kayaking, biking, nature trails, and fabulous beaches all offer splendid ways to spend your days on Pine Cay. The members come from many walks of life, creating a warm and eclectic community that desired a retreat and respected environmental ethics to ensure a pristine future. Now, early members, second-generation members, and new members from the USA, Canada, France, England, Germany, and Switzerland share the same love and vision for Pine Cay. Freshwater ponds dot the Pine Cay landscape. Along with the natural environment, members esteem Pine Cay’s social environment. The staff are predominantly from nearby islands such as North Caicos, and many have worked at Pine Cay for most of their adult lives, building strong friendships with member-families over the years. Pine Cay members have set a very high standard for educating the staff and supporting local heritage and traditional culture. Formally, the Pine Cay Foundation was set up as a charity organization to work across the Turks & Caicos Islands offering support for literacy, schools, computers, and scholarships. The original science fair held on Pine Cay for promising young students was a trailblazing success and became a touchstone for foundation goals. Slowly change has come to Pine Cay—gracefully, step by step—to complete a makeover across the island. The daily challenges of the early days are gone as the attentive staff makes sure every need is met, both for hotel guests and homeowners. In the past five years, The Meridian Club has seen a total refresh to the pool, patio deck, and hotel rooms, with new outdoor dining pavilions, an open lobby office and shop, with the outdoor tennis courts resurfaced, and a family beach picnic area completed. The island power supply and infrastructure has been newly laid and vastly increased, with solar hot water installation totally functional. The marina has been updated with a fleet of Parker vessels acquired for transport to and from Providenciales, and a bonefishing boat, snorkeling excursion pontoon boat, and Kingfisher deep sea craft ready to explore all the best fishing and snorkeling spots. A full service marina is maintained, with boat slips for vessels up to 30 feet in length. Near the airstrip, covered boat storage is available off season and mechanics are on hand to ensure your boat is always ready to go. A fabulous beachfront home was completed in late 2014 and extensive modernizations and expansion projects have been completed on many of the older cottages. The original homes built on Pine Cay typically included 1,200 to 1,500 square feet of living space, and were mostly wooden pod designs raised on pilings, with small kitchens (as most often members ate together at the Meridian Club!) The most recent home built is almost 4,000 square feet, an attractive two story design with open plan, infinity-view living room. The evolution of Pine Cay has led to the current complementarity of the tiny (yet magnificent) boutique resort hotel and the intriguing (yet slightly eccentric) membership community of homeowners who amicably share the island. This is a unique development, whereby 600 acres and all capital assets are under shared ownership, yet members hold their own properties under separate title. Decisions for the island are taken together at the PCHA’s annual general meeting, with many owners on island to actively engage in the discussion. Christmas and Easter vacations bring most families to the island, opening doors to friendships that last generations and span continents. The security of your investment in property on Pine Cay is grounded in the limited membership devoted to assuring long term protection of this pristine natural island. 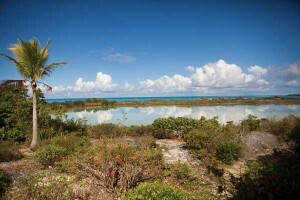 In context of Turks & Caicos Islands real estate, Pine Cay has held its value well. While purchasing property on Pine Cay entails membership in the community and the associated financial obligations, it also secures long term investment value—ownership within an 800 acre private Caribbean island, with 600 acres of open space, is a rare treasure. The amenities and staff of The Meridian Club are a very positive factor in the long term investment value of property. Come to visit Pine Cay to experience it for yourself—its charm will astound you. In uncertain times, well-placed property has always been a solid investment choice and when you walk the sparkling beach along the turquoise shoreline in quiet seclusion, you will realize the true value is priceless. Homes and properties for sale on Pine Cay range from a woodland interior lot of five acres offered at $395,000 to the ultimate 14 acre beachfront estate with small cottage and space for a new modern home offered at $8.2 million. Vacant land, older cottages, and renovated homes are all available at a wide range of prices. Joining the membership community is a process quite different to a normal real estate purchase, yet it reflects the unique “lifestyle” on offer. Meeting many members and visiting the island often ensures mutual compatibility and keeps Pine Cay in the hands of a like-minded group of families with agreed goals. It is a long term decision for your family through generations, and a remarkable chance to preserve this unique island paradise. Sara Kaufman moved to the Turks & Caicos Islands in 1994 after fifteen years in Europe as a top management consultant. She lives in Middle Caicos and was one of the original developers of the Blue Horizon Resort. Sara writes frequent articles and e-newsletters featuring real estate information about Turks & Caicos published internationally. As manager of Forbes, Forbes & Forbes Ltd., a company created to sell real estate “Go Beyond Provo,” Sara began a dedicated property sales program for Pine Cay in 2005 and has sold most of the properties on island since that time. The company offers full real estate services both for members selling their properties on island and as buyers-representative for persons wishing to investigate property and membership opportunities on Pine Cay. Visit www.pinecayrealty.com for island information and current property listings available through Forbes, Forbes & Forbes Ltd. Contact Sara at info@pinecayrealty.com or call (649) 231-4884.